Fadnavis also attacked NCP chief Sharad Pawar in the rally, which was held in Kolhapur in western Maharashtra, known as the stronghold of the Congress and the NCP. Out of the total 48 Lok Sabha seats in Maharashtra, the BJP and the Sena will contest 25 and 23 seats each. In the first campaign rally of the BJP-led NDA for the Lok Sabha elections in Maharashtra, Chief Minister Devendra Fadnavis Sunday attacked the Congress for questioning ‘genuineness’ of the cross-border strike. He said only two types of people–Pakistan and the Congress and its allies–are questioning veracity of the operation conducted by the Indian armed forces. In his address, Shiv Sena president Uddhav Thackeray too attacked Pawar for “destroying” Maharashtra during his long political career. “Only two types of people are questioning the surgical strikes. One of them is Pakistan and the other one is Congress and its allies,” Fadnavis said. “After the 26/11 Mumbai terror attack, there was only condemnation. But after the terror attack in Uri (in 2017), our government carried out a surgical strike,” the chief minister said. Given that Kolhapur district is the nerve centre of sugar politics from where the NCP and Congress draw its electoral strength, Fadnavis took a dig at Pawar. “We may understand little about sugar industry, but we have taken more decisions for this industry than anyone else,” he said. Kolhapur and Sangli districts had witnessed violence in January this year in the wake of the failure of some sugar factories to pay arrears to sugarcane cultivators. 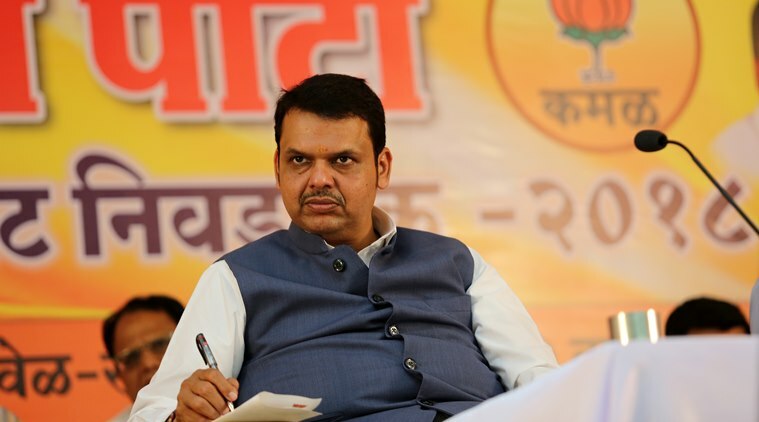 Appealing the people to vote for the BJP again, Fadnavis said a large number of bank accounts were opened under the leadership of Prime Minister Narendra Modi. “Some Rs 80,000 crore has been transferred into bank accounts under several welfare schemes. It is my open challenge to the Congress and the NCP to compare the figures of my government to their rule of 15 years prior to 2014,” he said. Thackeray also took a dig at Pawar. “In his entire political career, Pawar destroyed Maharashtra. We know the quality of such people,” he said. The Sena chief also taunted the Congress and the NCP over a string of leaders from both the parties defecting to the NDA partners in the run-up to Lok Sabha polls. “I do not know if anybody is left in the Opposition camp to contest against us. At this rate of exodus…I hope the BJP will not induct Sharad Pawar into its fold one day,” he quipped. Thackeray announced candidature of Narendra Patil from Satara Lok Sabha constituency, who will contest against NCP stalwart and sitting MP Udayanraje Bhosale. In the seat-sharing deal announced Saturday, the Congress and the NCP announced to contest 24 and 20 seats, respectively, while leaving four seats to smaller allies under the aegis of the “United Progressive Mega-Alliance”.